We recognize the importance of developing people who are able to deal effectively with a rapidly changing business environment. 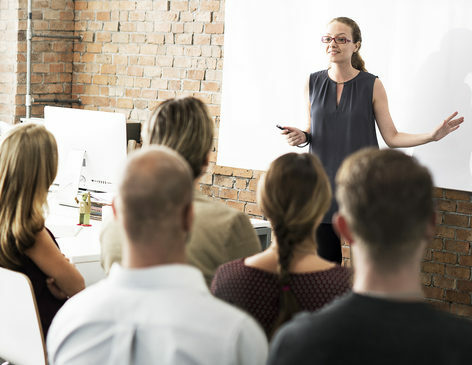 Our managerial training and coaching programs encourage the cross-pollination of ideas and help employees learn new skills and habits, develop their potential, and become coaches themselves. Our philosophy is to create a “culture of learning,” and we have demonstrated expertise in meeting this challenge, even in organizations where a formal training program is not established. We work to engage line managers in the training process, helping them to become coaches themselves and actively involving them in training design. By partnering with employees, we work to bring out their best potential, which in turn enables the organization to retain their best performers. Training formats may include ad-hoc workshops, ongoing coaching assignments, and online resources, among many other possibilities. All training materials are developed by working in partnership with the client to ensure continued alignment with the organization’s needs.